In a changing energy system, cities in Europe are facing challenging structural changes. They are progressively urged to be able to host smarter and sustainable advanced technologies to deliver electricity in intelligent and efficient way to their citizens.The Distribution System Operators (DSOs) are key to ensure this task and the public expectations are met. 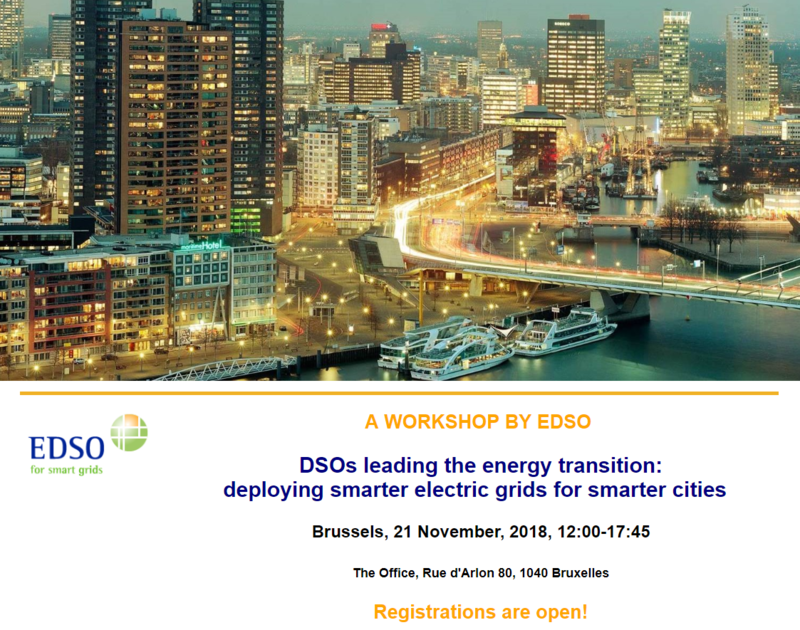 EDSO organises this workshop to show you the challenges and opportunities of such a transition. To voice the commitment DSOs are applying in updating, improving and modernizing your grids they manage and to demonstrate the way they are making your use of electric power smarter and easier. Come to our workshop to pick first hand details on advanced grid management and metering technologies, electric vehicle charging evolution and power storage. The workshop will bring together representatives from the Electricity Distribution System, EU institutions and cities as well as smart energy cities experts and local leaders. Innovative smart cities projects and initiatives will be discussed, while first tier best practices will be shared to elaborate next generation of smart cities. Please consult the agenda of the event HERE.